Despite their name, tiger nuts are not actually a nut but rather a tiny tuber (like potatoes, yams, and Jerusalem artichokes). Depending on where you're from or where you've traveled in the world, you may also know them as "nookon" or "chufa." Need another reason to give tiger nuts a try? They're completely vegetarian, vegan, gluten-free, paleo friendly (they're even "Certified Paleo"), and, as if that wasn't enough, they're even suitable for a raw vegan diet. And finally, they might be the perfect vegan snack. Perhaps most important of all the information you need about tiger nuts is this - what do they actually taste like? Are they any good? Tiger nuts have an interesting texture, like a hard fig on the outside, and slightly chewy on the inside (similar to vegan jerky). It's a bit difficult to make comparisons, but, in a world where huge companies spend years and millions testing the perfect amount of crunch and mouthfeel, its a pleasant change to find something that you have to chew on. That being said, if you find that you don't like the chewiness, they're also available pre-peeled, and in this form, they're much more like a perfectly cooked sweet potato in texture if much firmer. As far as the actual taste, it's a bit on the earthy side, with a natural sweetness. Tiger nuts are like a Brazil nut, but the sweetness is a bit like a pecan. So overall, what do tiger nuts taste like? Like a hard fig crossed with a Brazil nut, sweet potato, and pecan. If that's hard to imagine, just give them a try for yourself. Wondering what to do with tiger nuts? The best way to use tiger nuts is to munch them straight out of the bag as a healthy and all-natural snack! If you're craving chips or want a lower-fat alternative to nuts, tiger nuts will hit the spot. While many people will advise soaking them first, if you like chewiness, they're perfect as is. That being said, tiger nuts are also available pre-sliced, and, in this form, they make a great salad, oatmeal, or breakfast quinoa bowl add-in. They're a perfect, naturally sweet addition to homemade granola, either sliced or whole. Tiger nuts are marketed as a paleo superfood from our ancestral homeland of Africa. Tubers such as tiger nuts, proponents claim, fueled nearly 80% of our evolutionary ancestors, so it should also be good for us modern humans. Another health benefit of eating tiger nuts, proponents claim, is their "pre-biotic" fiber, which can help promote natural probiotic growth in your intestine, leading to better digestion. Whether or not you believe that claim, probiotics are certainly beneficial for a number of reasons. 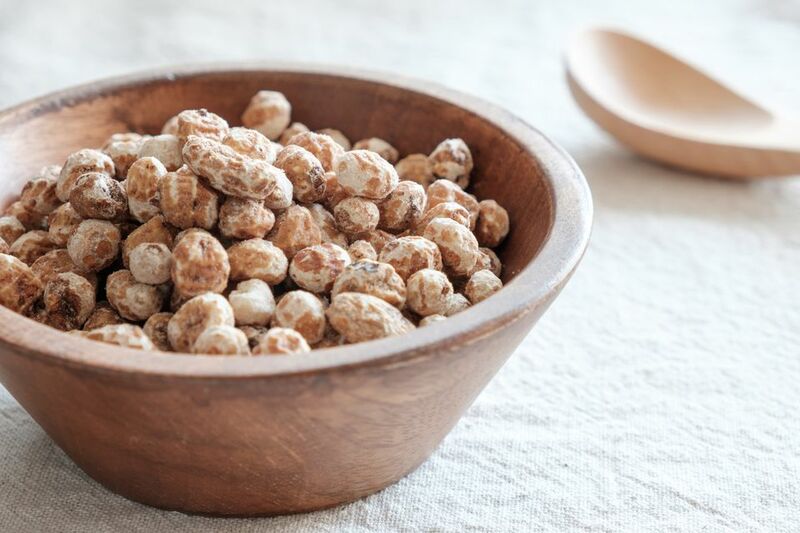 And, to further debunk the hype, tiger nuts are not the only source of pre-biotic fiber, but they are undoubtedly a great source (and they make a great snack!). So, if you haven't already, you should give them a try.